Peugeot has released figures showing that its HDi diesel engine is the key to unlocking lower fuel costs. The new figures compare Peugeot popular fleet vehicle, the 406 LX HDi 90, with its main petrol competitors. The figures show that not only is the Peugeot 406 HDi’s combined mpg 12.8 miles higher than its nearest rival, the fuel cost over 60,000 miles is at least £1,200 lower for the Peugeot 406 HDi than it is for any of the other cars assessed. "Peugeot has led the way in introducing new diesel technology and the latest HDi engines are ultra-clean, ultra-efficient and give excellent performance. "As high and unpredictable fuel costs continue to be a problem for fleet managers, many are looking at alternative fuels and alternative technologies. While we can’t do anything to reduce the price per gallon, at Peugeot we believe that by refining engine technology we can make each gallon work harder, thereby reducing costs. "A significant number of our major fleet customers cite the HDi engine as a determining factor in choosing Peugeot as a fleet supplier and staying with us. In addition to the fuel efficiency advantages, HDi offers lower CO2 benefits, leading to significant savings under the new Benefit in Kind (BIK) regulations." Though the Peugeot research concentrated on the 406 HDi, the company has also released savings figures for HDi models across the range. Most impressive of all is the 607 2.2 litre HDi which with its common rail turbo diesel engine delivers a combined mpg of 41.5mpg – exceptionally good for a car in this class. At the other end of the spectrum, Peugeot also shows savings from the HDi engine in the supermini class. Peugeot’s award-winning 206 HDi Eco has an excellent record in both low emissions and fuel economy, boasting a staggering figure of 62.8 mpg on a combined cycle, and a fuel bill over 60,000 miles of just £3,545. An average petrol rival in the same class consumes a gallon of petrol every 40.9 miles and would incur a fuel bill of £5,149 over 60,000 miles – £1,604 more than the Peugeot 206 HDi Eco. Anyone wanting to take advantage of this diesel fuel economy now has another model to choose from. 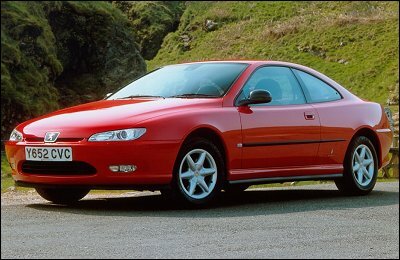 An HDi Coupé has been added to the 406 range boasting a 2.2 litre turbo diesel HDi engine with FAP particulate filter. Standard equipment on the enhanced SE model include satellite navigation, leather sports seats, cruise control, 6-disc CD autochanger with JBL amplifier and 16" alloy wheels. This diesel model is reckoned to consume 30% less fuel than its petrol equivalent. And using the innovative FAP particulate filter, the new 406 Coupé HDi also produces 15% less carbon dioxide (CO2) emissions than the 2.0-litre petrol version. These low emissions give the car a Benefit in Kind rating for company car tax of just 18%, the lowest possible for a diesel. The new Peugeot 406 Coupé HDi is available in S and SE trim levels, with manufacturer recommended retail prices of £22,295 and £24,995 on the road respectively.